A review of key Fives' precision grinding product offerings intended for the Heavy Duty Market place. 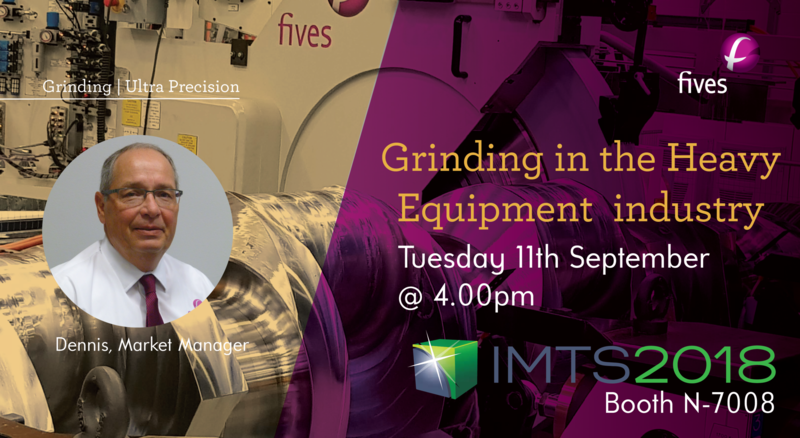 The presentation will include what is, in our view, required for a successful grinding on these demanding components. A review of the Heavy Duty product range including the LT Family and Landis Flex grinders ostensibly Landis LT2He, Landis LT2HHe, Landis LT3 & Landis Flex. What key design features are included in each of these grinders. Hydrostatic bearings, linear motor technology and Fives Landis CNC6400 control – ultimately designed for grinding and component pre-process, in-process and post-process measuring applications. How do these key design features insure manufactures can meet their difficult production, quality and flexibility requirements. Sub micron roundness achieved – even on large features eg crankpins on an 8m long crankshaft. Reduction of cycle time from working shifts to hours. Longevity and reliability of Landis LT2He, Landis LT2HHe, Landis LT3e & Landis Flex products. Over 37 years’ experience in the heavy duty and automotive industries including Fives Landis Corp. and Cummins. BS in Mechanical Engineering and a Masters in Manufacturing Engineering.